I've been spending a bit of time fussing over my workspace the last couple of days, moving things around, changing the moodboard and adding bits and pieces here and there. Because it was designed essentially as a fourth bedroom, to be used as a guest room and office, it has a built-in wardrobe which provides great shelving and storage. I am however still toying with the idea of adding in some open shelves, to provide a handy place to keep things at arm's reach. Practicalities aside, I just really love the look of some of the shelving options I've seen around lately. My desk is plenty long enough to display knick knacks and place smaller storage items like baskets and trays, but shelving would provide even more space and an excuse to get a few more things from my wishlist! 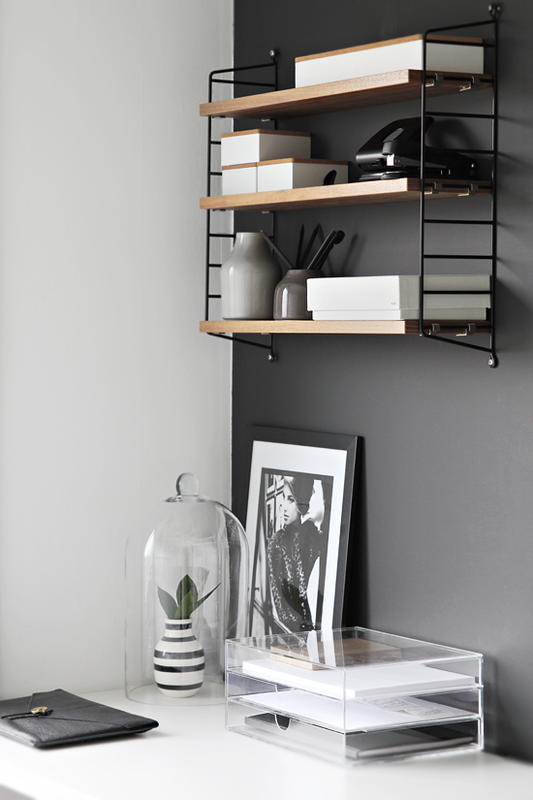 Often seen in Scandi blog circles, Ikea wall brackets and shelves are an economical option and look gorgeous. 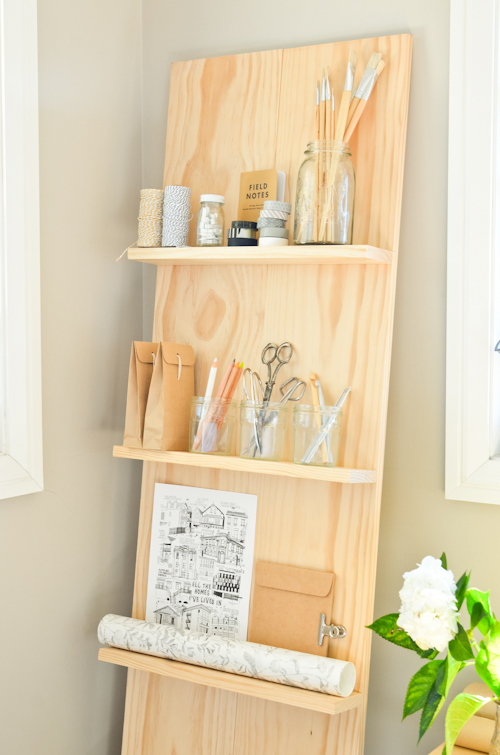 A great DIY idea, I'd quite like to make one of these plywood shelf systems to place in the corner of my office. Check out how to make one here. A String System would be fabulous for the office. Desks, shelves, cabinets... the options are endless! The image below has two great options. 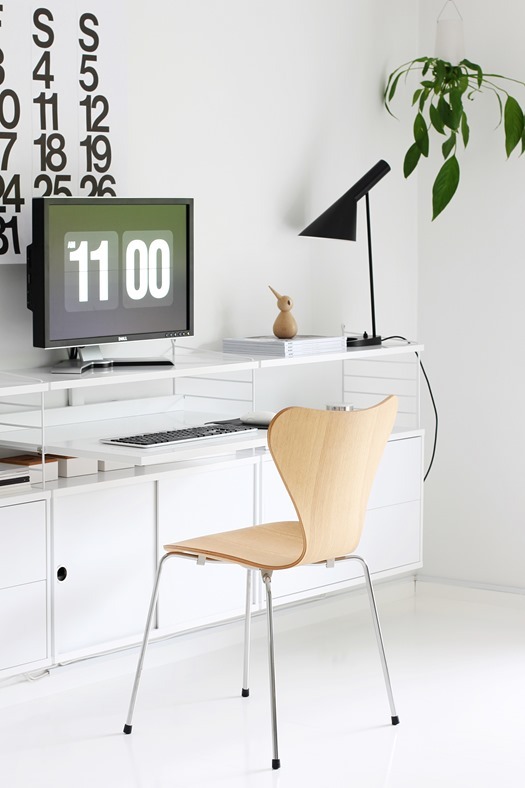 The picture ledge provides a place to display pictures and smaller items. For more info, take a look at my post on picture shelves. The metal filing cabinets provide great storage along with a touch of vintage industrial style. Local retail and online store Koko Classics stock an incredible range. Being that I'm a hoarder of magazines, I love finding new ways to display them in the workspace, and around the home for that matter. Using a Norrgavel Hook and black string, the DIY creation below is really eyecatching, especially with the calendar placed at the end. 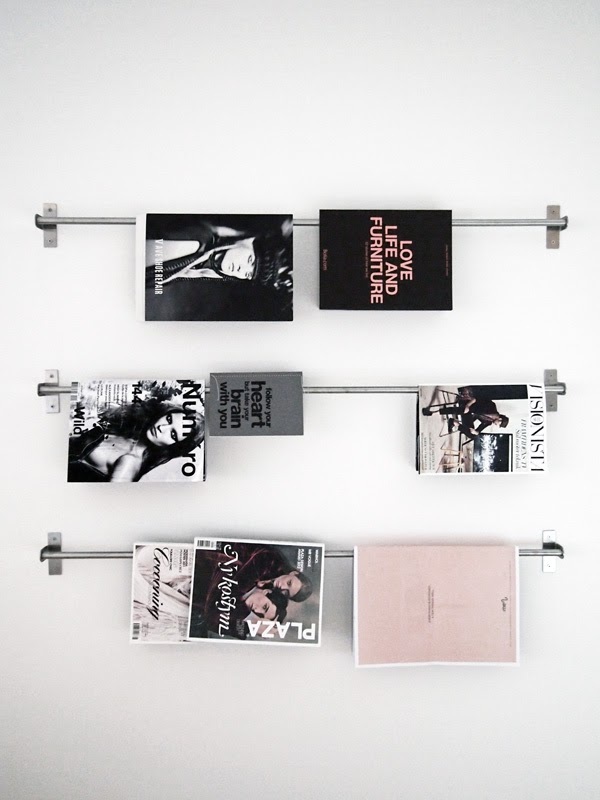 These wall-mounted metal hangers provide a simple yet striking way to display your favourite covers. 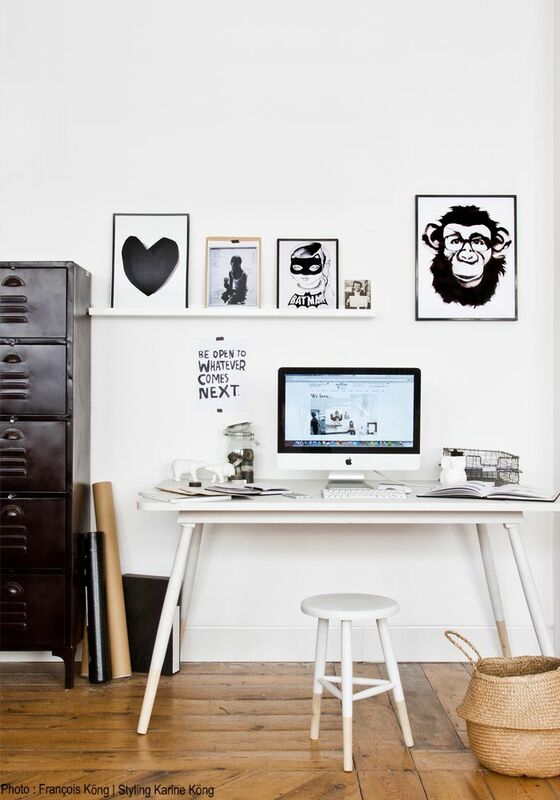 For more ideas check out my Magazine - Ideas for the Home Post and for loads more office inspiration, take a look at my Workspace Pinterest board. 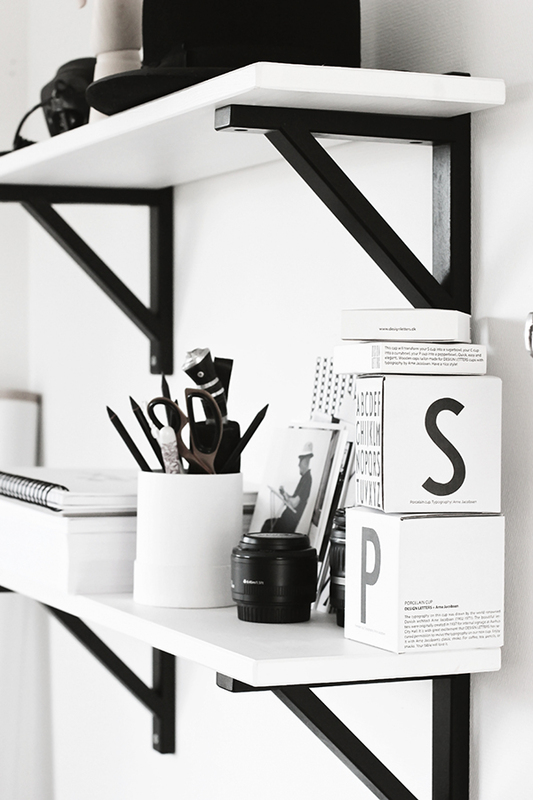 I love the ply shelf in black, what a great idea. I am also looking at an office in my house. My mum passed away last year and my third (small) bedroom is top to bottom full of her things, so hard to part with them but I am in desperate need of an office/studio since my studio is now a guest bedroom. I agree, open shelving is a great way to go in an office. I want built in shelving, around and over my doorway but not sure I will get my way. I have a virtual office in Singapore and its colour theme is black and white. You have given nice themes for it. I can use them to decorate my office.